One of the narrators in the novel. After killing the Fritz Sniper, Xavier encountered this weapon. Xavier's position during the war. After being identified as Elijah rather than himself, Xavier is deemed a _______. By the end of the war, Xavier was an _____ from the explosion. Xavier felt _____ when standing next to Elijah. Referred to Xavier as "nephew". The town near Xavier's home where the British built their fort. Lieutenant _____ dislikes Xavier after a misunderstanding in the cafeteria. Despite the conversation others tried to make, Xavier remained _____. "You were always the better _____", Elijah says to Xavier. After finding out the truth about Lisette, Xavier becomes severely _____. The place where Xavier escaped with help from his auntie. 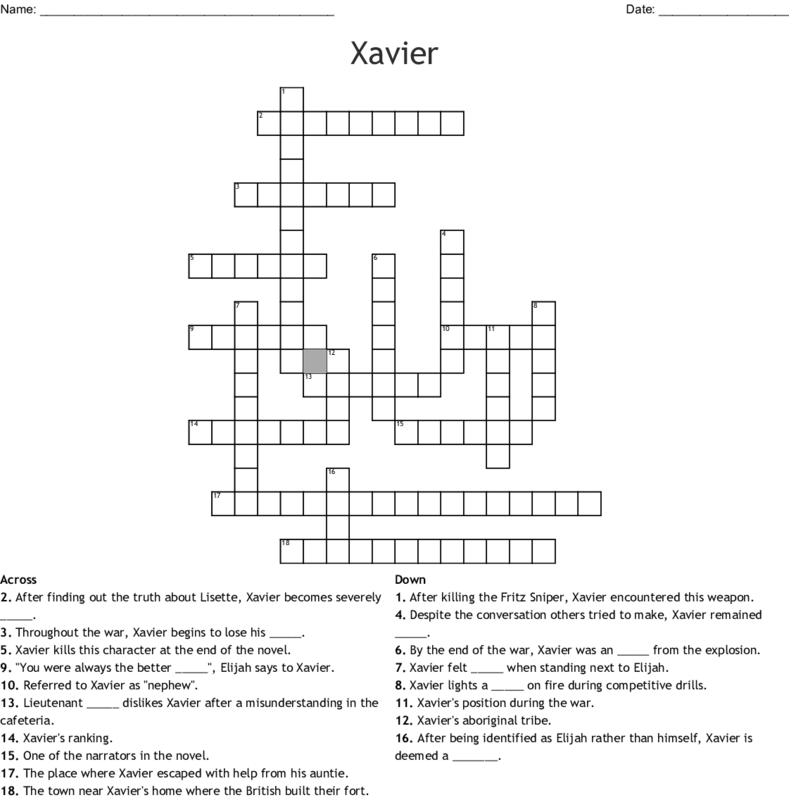 Throughout the war, Xavier begins to lose his _____. Xavier lights a _____ on fire during competitive drills. Xavier kills this character at the end of the novel.